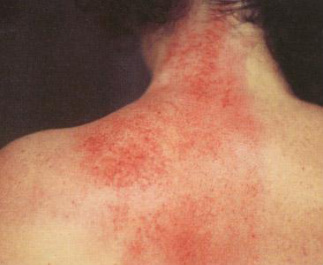 Gua Sha is often performed on the back and neck. We offer Gua Sha used in conjunction with acupuncture to hasten the relief of pain. Gua Sha is an ancient medical treatment that has been used for thousands of years to bring relief from very common conditions such as fever and general muscle pain. Gua Sha helps remove stagnation (which is often the source of pain) to help bring blood flow to the area. It also can help bring toxins to the surface so that your body can easily flush them out. The treatments are very safe, but can often result in sub-cutaneous blemishing which usually takes about 2-4 days to fade.